Steve Miller / Lol Coxhill: "The Story So Far..." "...Oh Really?" Amidst the artists commonly associated with the British Canterbury scene, pianist Steve Miller and saxophonist Lol Coxhill undeservedly receive some of the least attention. Miller, brother of better-known guitarist Phil (Hatfield and the North, National Health), passed away in 1998 with only a small recorded legacy including stints with Caravan and the pre-Hatfield group Delivery. Coxhill's is the larger discography, including recordings with punksters The Damned, bluesman Alexis Korner and avant-gardist Fred Frith. 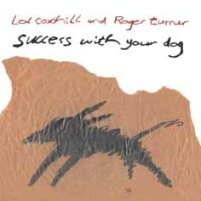 Miller and Coxhill's two early 1970s collaborations have been a Canterbury collector's holy grail, making Miller/Coxhill Coxhill/Miller / "The Story So Far..." ..."Oh Really?" a welcome first time CD release of these unconventional records, in addition to adding some previously unreleased and exciting bonus gems. 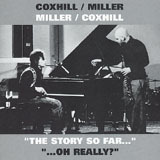 It's important to know that the master tapes for Miller/CoxhillCoxhill/Miller (1973) and "The Story So Far..." ..."Oh Really" have never been found, so the audio source for this release is vinyl and, being originally released on a budget label, not particularly good vinyl. But the restoration process is quite remarkable. High fidelity this isn't, but the sound is clear and clean, far better than some remasters from original tapes. Both albums were unorthodox for their time, and continue to be so: each side representing near solo projects by Miller and Coxhill, in many cases with little intersection between the two. Still, there are enough occasions where the two do come together to qualify both as collaborative efforts. Miller's no Jarrett, but he's a richer improviser in free contexts than his Caravan and Delivery work would suggest. 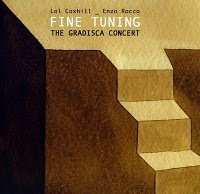 He's no Paul Bley or Bill Evans either (as his own posthumous notes acknowledge), but on the 23-minute live bonus track "Coo-Coo-Ka-Chew" from late 1974, Miller's surprisingly inventive, finding a multitude of ways to interact on a deep level with Coxhill, bassist Richard Sinclair and drummer Laurie Allen. Coxhill's main axe is soprano, and while comparisons to Steve Lacy are inevitable, he's always had his own voiceas much through his innovative use, for the time, of tapes, motors and other oddities as his saxophone. "Oh, DO I Like to Be Beside the Seaside," with its copious echo, and "In Memoriam: Meister Eckhart," with the saxophonist also on cathedral organ, remain compelling improvisations over three decades later. Both albums are essential listeningnot just for Canterbury fans, but for anyone wanting to hear an alternative to the spontaneous music being created across the Atlantic at the same time. But it's the twenty-minute live performance by Delivery that's the buried treasure. Recorded in 1972, the highlight is Sinclair's "Bossa Nochance/Big Jobs," which would show up in reworked form on Hatfield and the North's 1974 eponymous Virgin Records debut. Miller and Coxhill excel, but the three tracks demonstrate just how different Hatfield would sound once ex-Egg keyboardist Dave Stewart was recruited. But even if these proto-Hatfield tracks weren't included, Miller/Coxhill would still be an important reissue, filling in a historical gap from the vibrant Canterbury scene of the 1970s. Track Listing: CD1: Miller/Coxhill: Chocolate Field; One for You; Portland Bill. Coxhill/Miller: Will My Thirst Play Me Tricks/The Ant ABout to Be Crushed Ponders Not the Where Withal of Boot Leather; Maggots; Bath 72; Wimbledon Baths; Gog Ma Gog. Additional recordings: Delivery: Betty (You Pays Your Money, You Takes Your Chances); God Song; Bossa Nochance/Big Jobs. Steve Miller solo: Big Jobs No. 2; God Song. CD2: Additional recordings: Steve Miller solo: Chocolate Field; One for You. "The Story So Far...": G Song; F Bit; SOngs of March; More G Songs; Does This; The Greatest Off-Shore Race in the World. "...Oh Really": Reprise for Those Who Prefer It Slower; Tubercular Bells; Soprano Derivato/Apricot Jam; Oh, DO I Like to be Beside the Seaside? ; In Memoriam: Meister Eckhart, From the Welfare State Epic of the Same Name Starring Randolph Scott; A Fabulous Comedian. Additional recording: Coo-Coo-Ka-Chew. Personnel: Steve Miller: piano (CD1#1-3, CD2#1-2, CD2#4, CD2#6, CD2#8-9), electric piano (CD1#4, CD1#8-13, CD2#3, CD2#5, CD2#7, CD2#15), Wurlitzer percussion (CD1#4-5); Lol Coxhill: soprano saxophone (CD1#1, CD1#3, CD1#6-7, CD1#9-11, CD2#8, CD2#9, CD2#11-13), CD2#15); cheap alto saxophone (CD1#8), Wurlitzer percussions (CD1#4-5); Roy Babbington: bass (CD2#1-3). Steve Miller / Lol Coxhill CD/LP/Track Review Lol Coxhill John Kelman Cuneiform Records United States Miller/Coxhill Coxhill/Miller / "The Story So Far..." "...Oh Really?"